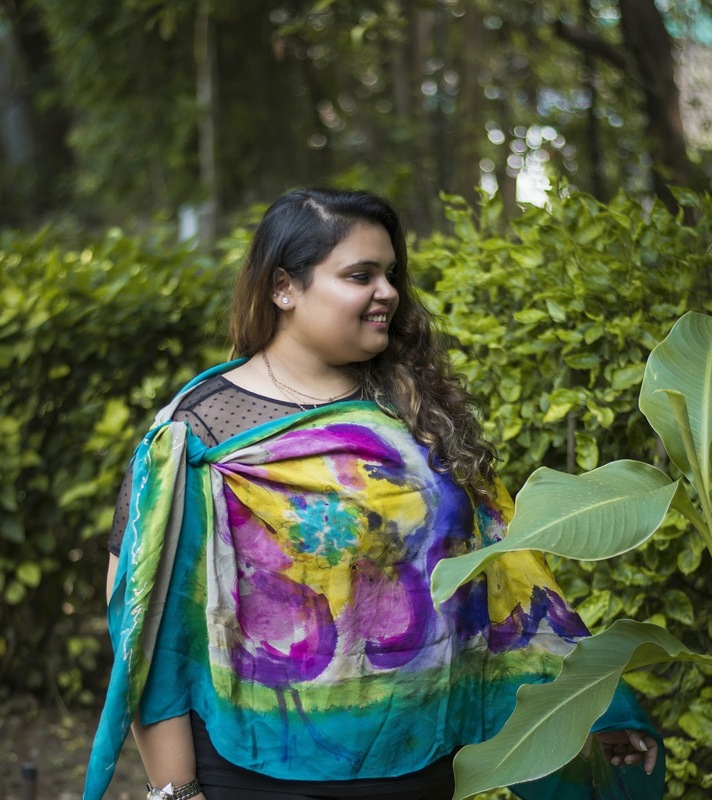 The Art Robe is a Pune-based designer label that, in my opinion, is synonymous with extra-ordinary. Right from the contemporary styling to the rich textures and bold strokes, every aspect sets the label apart unlike any other. Rakhi Sethi and her mother Malaa Treon are the artists (the term designer seems limiting in this case) behind it all. Every piece created by the duo tells a story - one where art is celebrated and adorned. Hand-painted motifs on silk and chiffon create a range of comfortably chic outfits for various occasions. What's more, the brand offers sartorial picks for women and men. 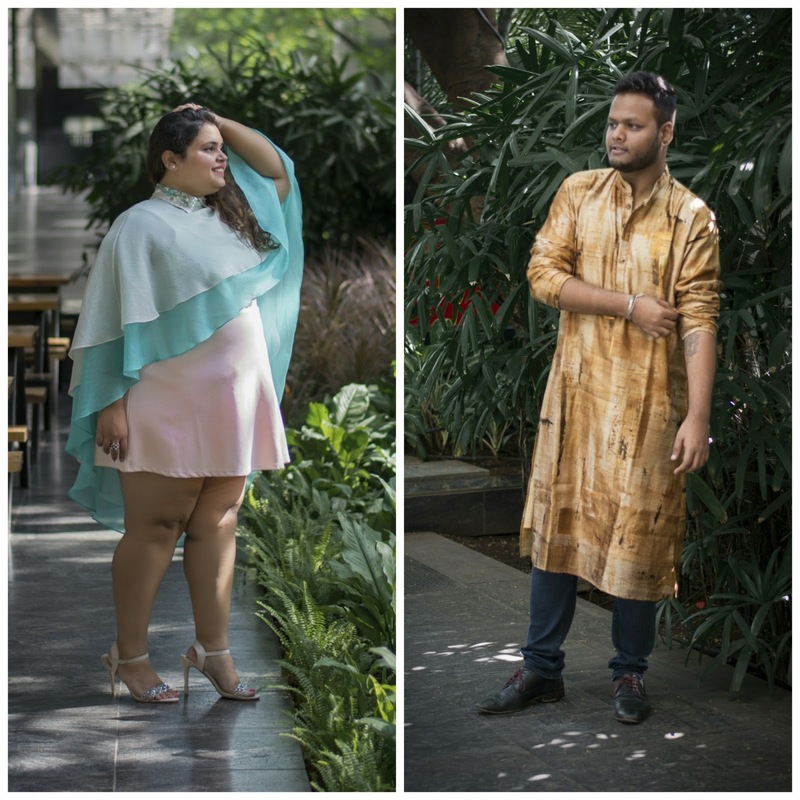 That aspect caught my attention and given their diverse collection, I decided to share with you guys a weekend in the life of Harish and me featuring The Art Robe pieces. My Saturday revolved around a blog meeting over brunch. I wanted to opt for something classic with elements of fun for the same. I went for an all black look - basic jeggings and a simple top with mesh detailing. 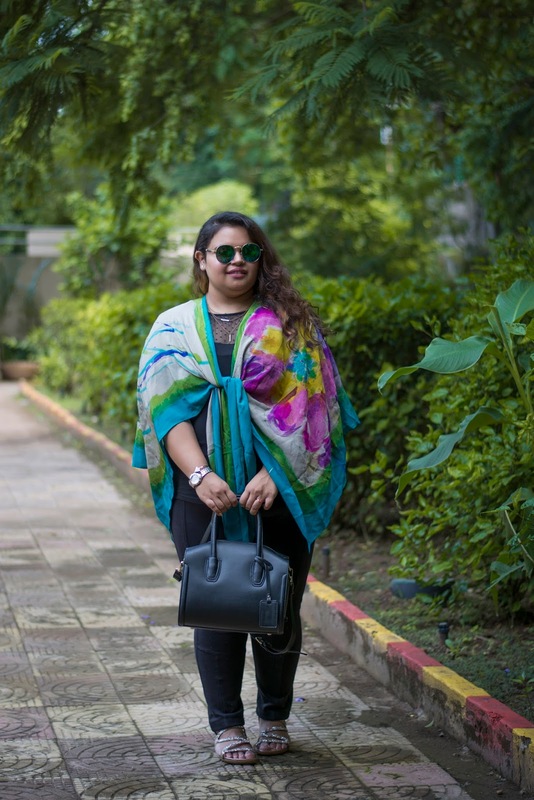 I knew this Mexican Scarf was right up my alley the minute Rakhi first showed it to me. In addition to the gorgeous colours, I was thrilled with the versatility of the scarf. It can be draped (as a top, a cover-up, a stole) and knotted in uncountable ways and that's what I call a designer investment. Although I've styled it in two different ways for the pictures, for the meeting I went for the front knotted look. A classic black bag, mirrored sunnies and strappy shimmer flats completed my outfit of the day. Harish had a work event to attend that particular Saturday. 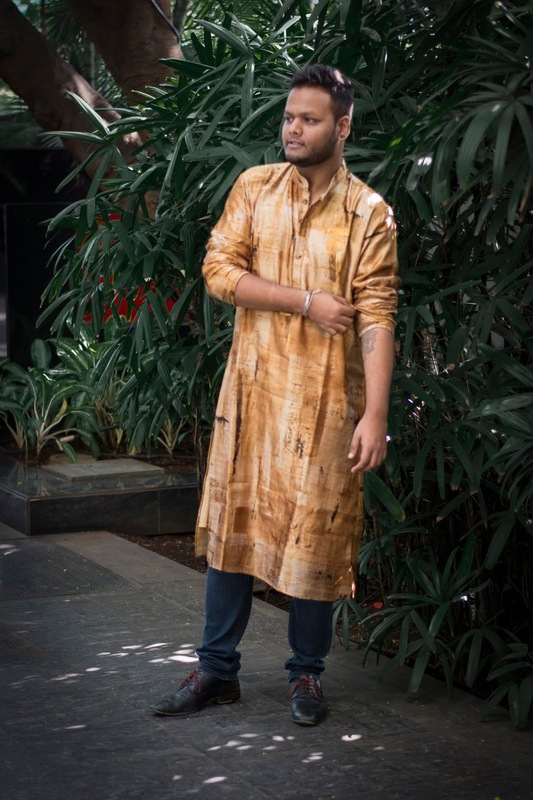 Always one to say yes to experimenting, he picked this earthy tone kurta, which was an ideal understated pick for the event (even though his work setup allowed him to dress as he pleased). He teamed the kurta with denims and a pair of shoes. 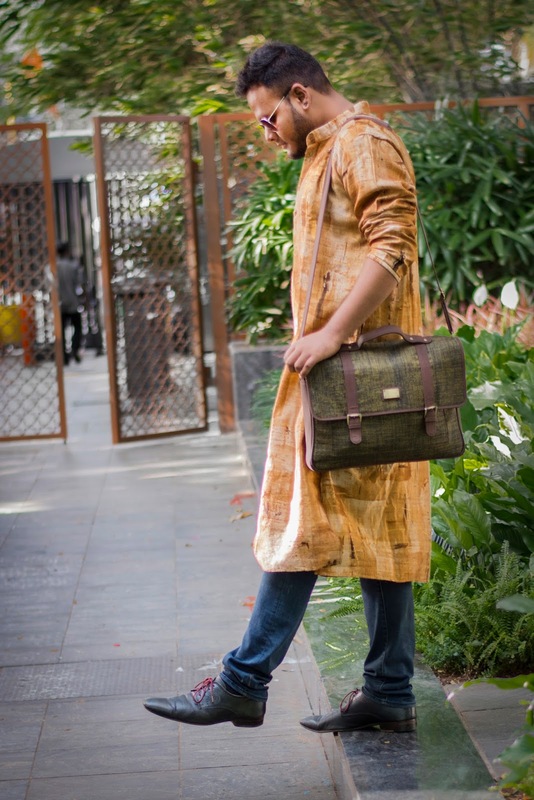 The olive laptop bag contrasted beautifully against the outfit. I love how this outfit is neither too casual nor too formal. It literally involves replacing a shirt with a kurta for a debonair effect. The highlight of my Sunday was a blogging event, for which I picked this Sky Collared Drape. A part of their recent Collar Collection, I don't know what I love more - the colours, the fall, or the collar detailing. Further enhancing the colours of the drape, I picked out a pastel dress from my wardrobe and completed the look with matching heels. Twirling around in this flared beauty was an absolute delight. You're definitely going to see it making more appearances on the blog; it's one of my favourite layering options! Harish had a wedding to attend the same day and we couldn't be happier to be introduced to the men's collection by The Art Robe just a few days before that. 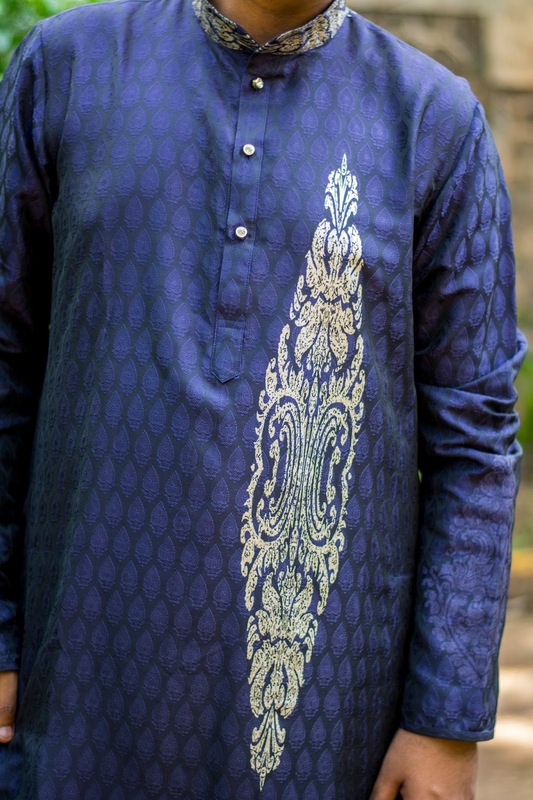 Often, when out shopping, we both have felt that ethnic-wear for guys tends to get very repetitive. 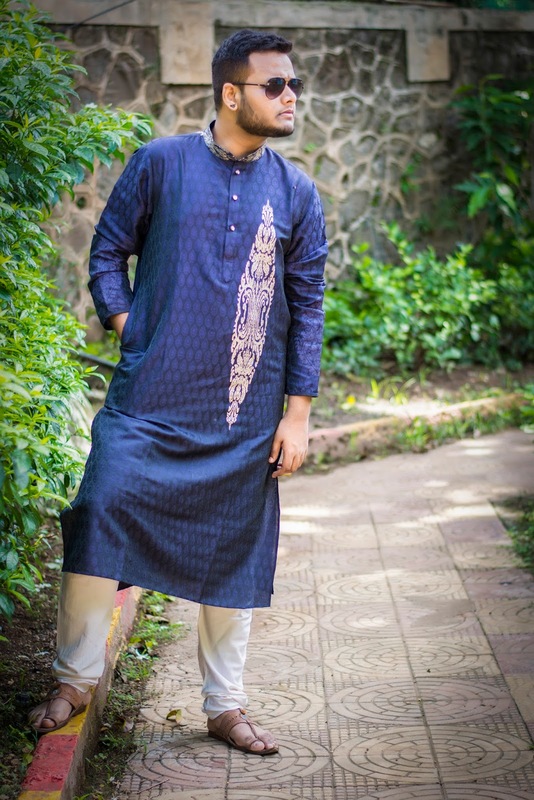 He picked out this royal kurta with metallic detailing from the latest Printed Palette collection and completed his look with churidar and Kolhapuris. Effortless yet sophisticated, the kurta is an absolute statement-maker. 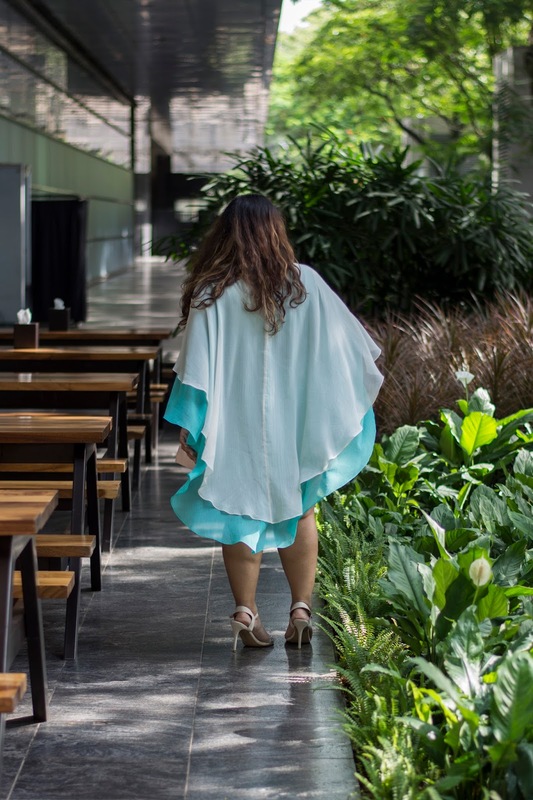 From a casual date to a special soiree, from a business meeting to a festive celebration, The Art Robe creations are timeless pieces that deserve a special place in every girl and guy's wardrobe. Harish and I had a glorious weekend donned in these ethereal ensembles (or should I say pieces of art)! I like your blog a lot and you now a lot about dresses and accessories which is very cool indeed. So, I would like to ask you for some help. 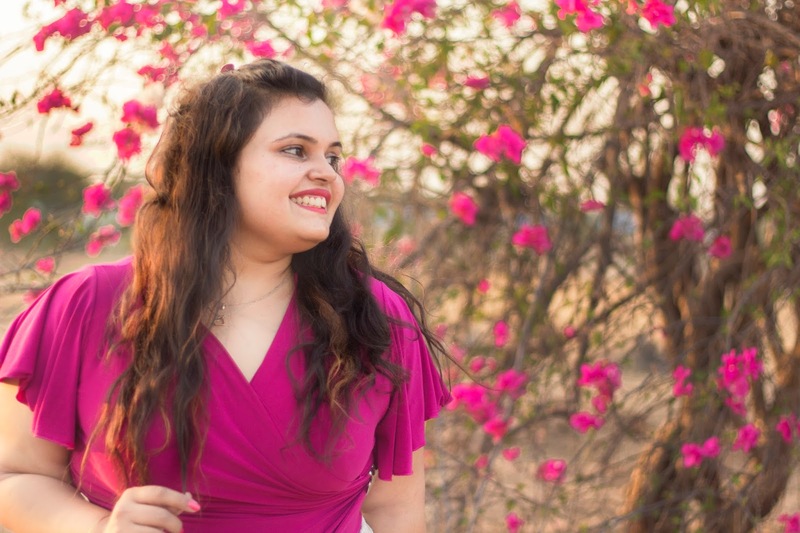 I will have my wedding at the venue from https://pune.wedding.net/venues/ in Pune and I need some dress ideas along with accessories which will match my ceremony, colours, etc. What do you think about it? Can you give me a hand with it? It would be great!